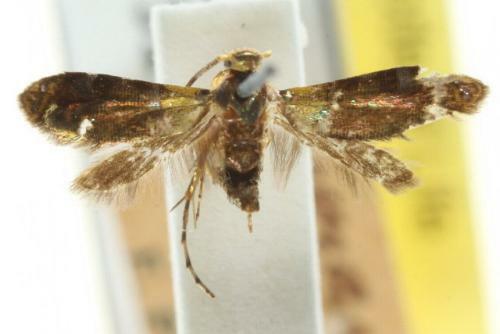 The forewings of the adult moth are a metallic brown with various metallic coloured markings including gold areas around the base and the margin of each forewing. The hindwings are plain brown. The wingspan is about 1 cm. Volume 32 (1907), p. 96, No. 157.